Last week Ukraine was shaken by the news of a teenager’s death. Senior pupil Anton Tishchenko died in intensive care in a hospital in the city of Kramatorsk in Donetsk Region after he’d been given the vaccine against measles and rubella (Tresivac ZA 26-X). Later, dozens more teenagers who’d received the same medication were rushed to hospital in Kramatorsk alone. Similar situations were reported in the cities of Donetsk, Kharkov and Kremenchug amongst others. By Friday night a total of 87 people had been admitted to hospital with the same symptoms: high blood pressure, splitting headache, high temperature and sore throat. Medical officials urged journalists not to spread “unverified frightening stories”. 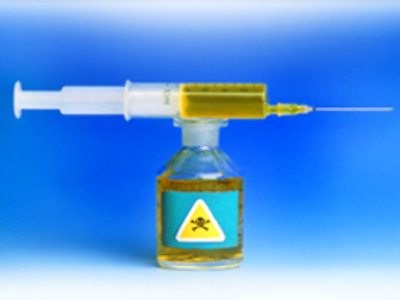 They said that the vaccine from the Indian enterprise Serum Institute of India, which had been delivered to Ukraine as humanitarian aid by UNICEF, is not just safe but considered to be “the best in the world”. They said this vaccine was certificated and registered in Ukraine, but never showed the above mentioned documents to the citizens. Schoolmates of the deceased Anton Tishchenko say they were told that the vaccination was obligatory and urgent. Therefore many of them did not even have the time to inform their parents about the vaccination. “We’ll do everything not to lose any more lives,” said Vasily Knyazevich, the head of the Ministry of Health. In turn, Ukrainian President Viktor Yushchenko has ordered a thorough investigation into the purchasing process of the medication.